Winter has arrived… Yey! The water always seems much clearer at this time of year, I suppose less disturbance and lower periods of sunlight contribute to the lack of algal growth, and the increased winter precipitation keep fresh water flushing through the catchment area. A winter walk along my local river often triggers an impromptu swim session as the water just looks like liquid crystal, with that special slate green tint particular to the Cumbrian becks. To slip into the water like this is such a thrill on every level, and although I have to endure the odd “look” from local dog walkers (the only downside I know of swimming in your undies), I know that I will come out feeling deeply satisfied and in an exceptionally good mood for the next 48 hours. We’ve already covered Cold Water Swimming Tips and Wetsuits for Cold Water Swimming in previous articles. But what about the bits of you that often feel the cold the most? Wetsuit wearers as well as winter dippers and potential Ice Swimmers who forgo the wetsuit can still benefit from wearing neoprene accessories to stave off frost nipped extremities as well as make use of the ubiquitous Dryrobe or Robie for instant post-swim cosiness. Wearing a thicker silicon swim cap or two makes a big difference to your comfort when you are swimming in cold water. As the temperature’s get colder it makes sense to invest in a neoprene swim cap and put a standard swim cap over that for increased visibility and warmth. However, if you are quite happy cruising along with heads up breast stroke to admire the winter view from your favourite Lakeland tarn, a seasonal woolly hat is perhaps the perfect choice. I have two favourite products here. 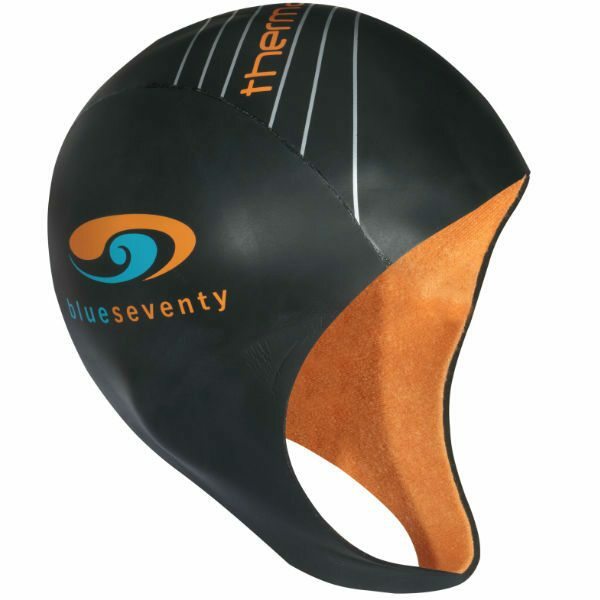 The first is the 3mm Blueseventy Thermal Skull Cap which features the same cosy lining as the Thermal Helix and the second is the 2mm C-Skins Surf Beanie. 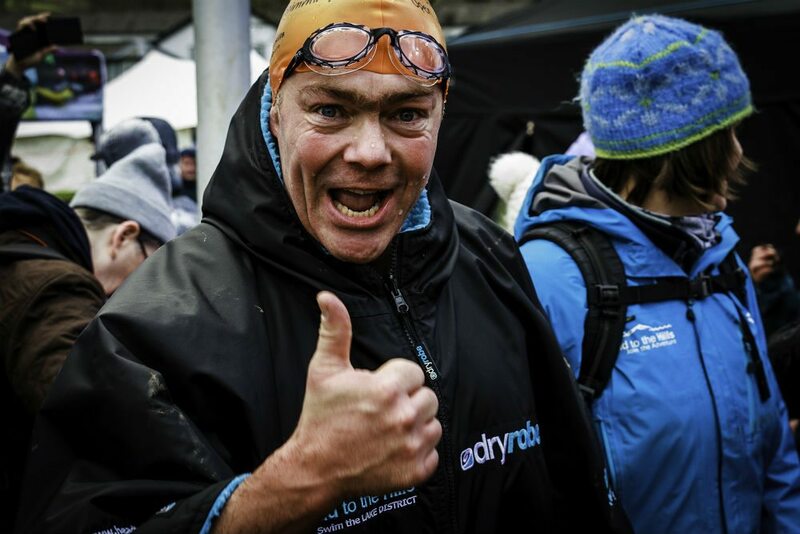 I use the Skull cap when I’m winter swim training and want to be warm and coherent when I get out and the Beanie for everything from winter tarn dipping to early morning kayak paddling; it’s a great all-rounder. Wearing ear plugs can help in two ways – 1. it reduces the accentuated feeling of disorientation that can occur when swimming in colder water (sometimes bringing on an awful kind of motion sickness) and 2. they reduce the likelihood of developing Surfers Ear or exostoses; a condition brought on by prolonged exposure to cold air and water over a long period of time – the ear canal is narrowed by bone which grows slowly in the ear canal stimulated by cold exposure. The bone eventually forms bulges, behind which water may be trapped. As everyone has different shaped ear canals it can be difficult to find a pair that fit and are comfortable. For this reason I prefer the mouldable silicone ear plugs by Zoggs. You need to put them in dry for the best results but once you master putting them in they are very effective. Swimming masks, rather than goggles, when worn with a neoprene cap significantly reduce the painful “ice-cream head” feeling of swimming with your head in icy water and have been a revelation to a lot of our swimming friends and clients. They are very comfortable to wear and give you an excellent view of what is going on both above and below the water. There is only one choice here and that is the Aquasphere Vista and the Aquasphere Ladies Vista (very slightly narrower) and they are our best-selling winter and early spring goggles. If you don’t like a mask, the Aquasphere Kaiman EXO is the perfect all-rounder. The brain freeze feeling should go within 10 minutes or so and lessens with acclimatisation if that helps?! about 5% when wet, so socks and gloves should feel just a little too snug when fitting dry. 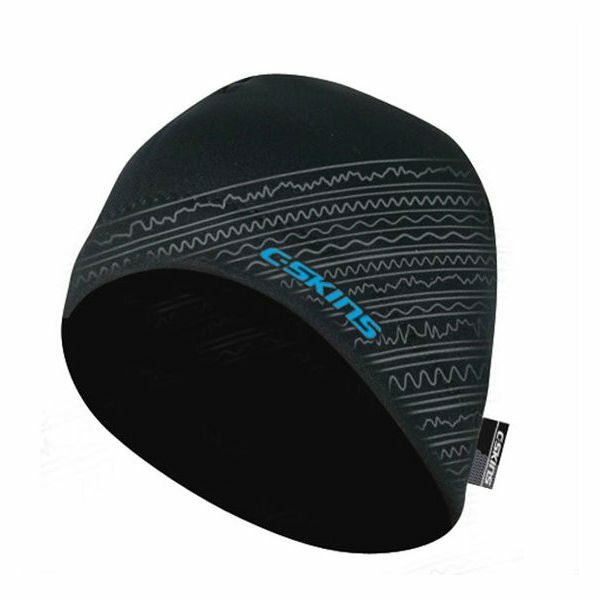 We have found the warmest combination to be the C-skins 4mm Polypro lined Swimming Sock and their excellent 3mm Wired Neoprene Glove which give good wrist coverage and excel in very cold conditions. This is what our swim guides use. With socks in particular some swimmers prefer a more streamlined option and the Blueseventy Thermal Swim Socks are an excellent choice and tend to suit people with narrower feet and ankles. They also work really well under shoes, either for cold weather cycling or chilly swim-running. Again some swimmers prefer a glove that lets them feel the water a bit more and although not as warm as the C-Skins glove, the Blueseventy Thermal swim Glove does the business here. The Blueseventy glove is not for those with very small hands though. I have medium size bloke’s hands and the small fits just right. A brilliant bit of kit for the serious outdoor swimmer at any time of year, the changing robe comes into its own in cold miserable weather and is considered an essential skins swimming item. The last thing you want at the end of a cold swim is to faff about under a towel while hoping about on one foot trying to get your undies on. Do yourself a favour, get one of these and end your misery! 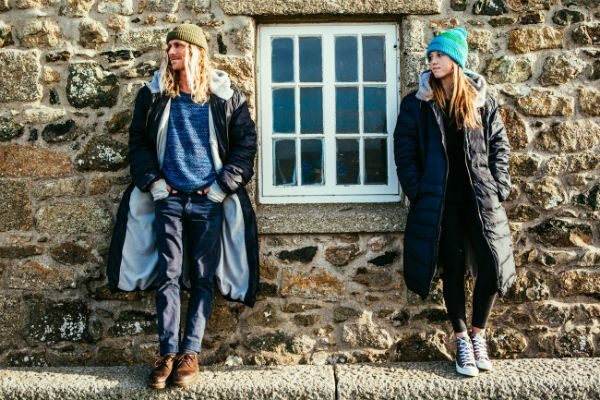 Dryrobe Advance – Waterproof, warm, functional and they look cool too. Ideal for standard UK winter conditions. The shorter sleeves make changing under it really easy and the fleecy liner and handy pockets add to your comfort and convenience. A little bulky but the best out and out changing robe on the market. Dryrobe Advance Long Sleeved – A long sleeved version. More of a jacket but still plenty of room for fumbling about and getting changed. I hope this article has been useful and helped you to decide on which accessories would be suitable for you. If you need specific advice or want to view our gear suggestions please call in at our Ambleside shop and we would be glad to help you.